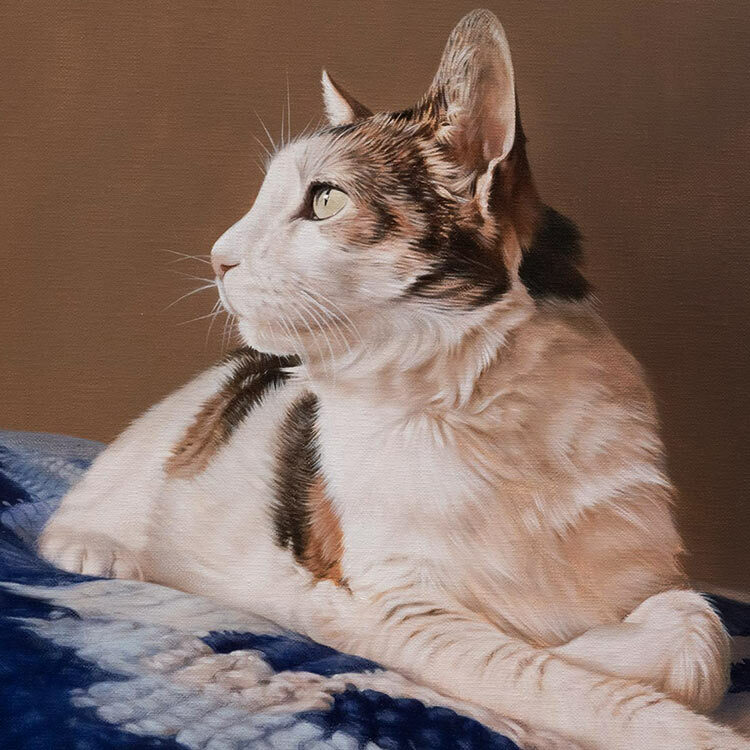 We received an enquiry in 2011 with a request to ask if we could paint a portrait of a dearly loved cat called Groucho who had sadly passed away. 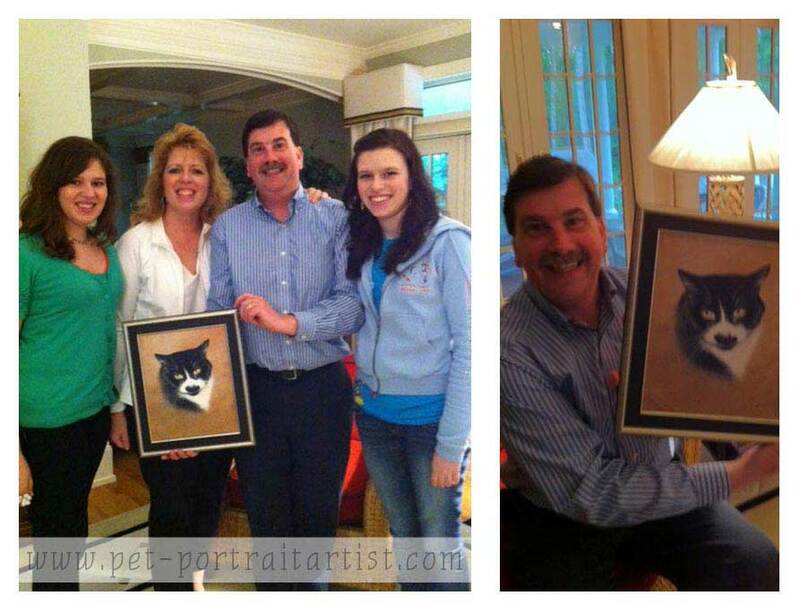 The portrait was to be a surprise for their family in June. 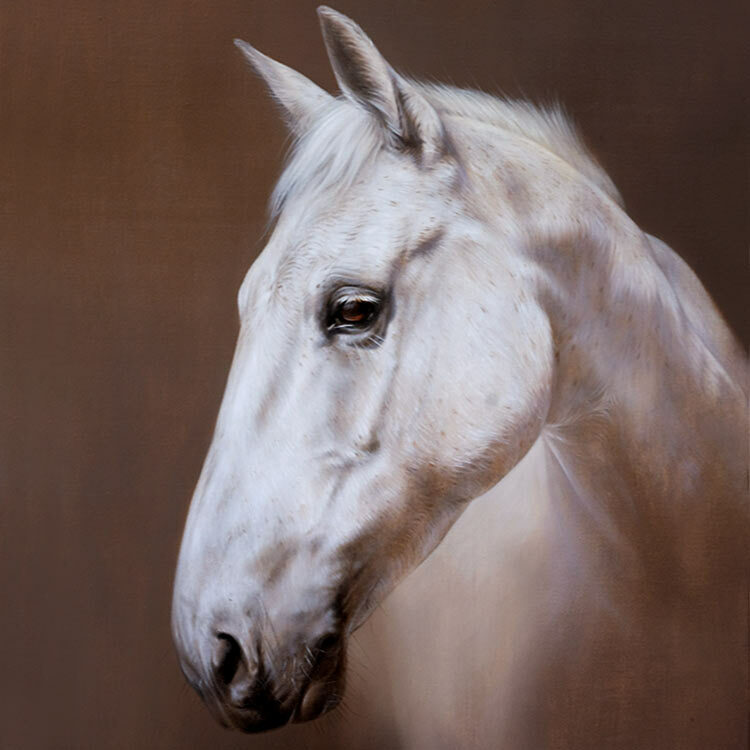 We were delighted to paint Groucho in oils and we also had our local framer to frame the portrait with a beautiful matching frame too. You can see the presentation of the portrait with the family below. Just made the final payment. Your Website is very user friendly and the payment pages easy to use and nicely tied in to the site. Thanks so much for your wonderful work. Looking forward to seeing the painting of Groucho when it arrives! My daughter Katrina says you really got the eyes just right ! He looks great. We are going to present it on the 12th! Really happy with the fabulous painting! Thank you!